So I've decided to go ahead and release all the ammobox stuff I've done over the years. I've compiled them all into neat packages for your convenience. These are made from scratch by me in photoshop. Only the emblem on the sides is reused. Next is a redesign of the original ammo boxes, for those that want a bit of a refresh. I made these myself in Photoshop. 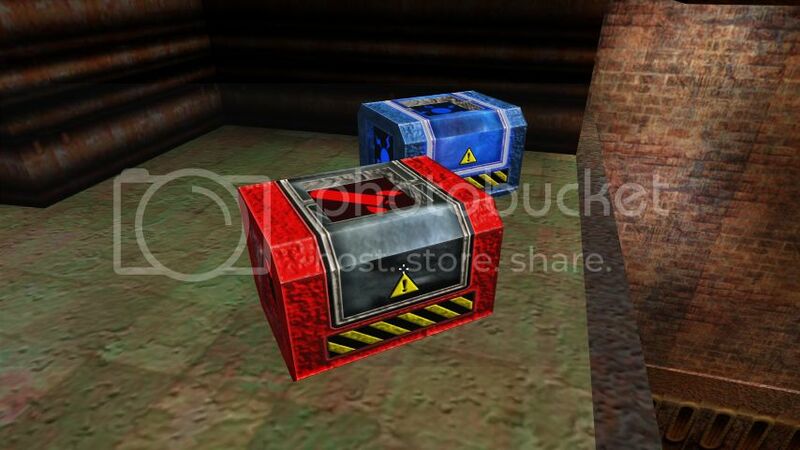 Next are the original ammoboxes from Quake 4. These are not edited in any way. They are exactly as they appear in Quake 4. Next are the reskins of the Quake 4 ammoboxes that I made. I made these myself in Photoshop as the original skins you see above, are very low quality. 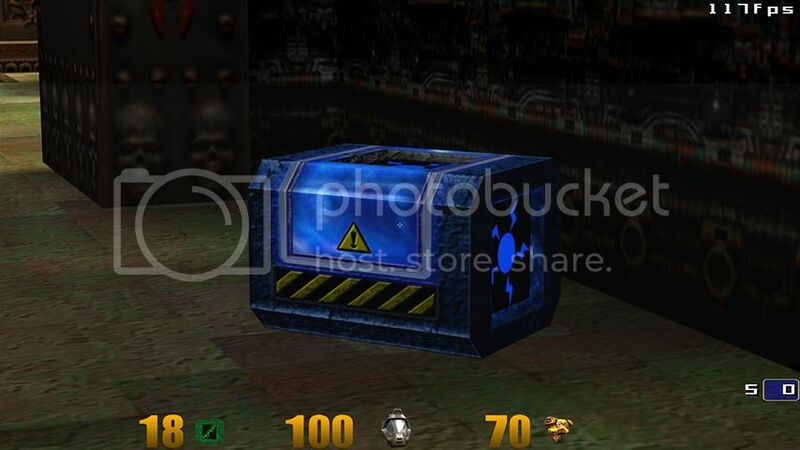 And finally, I reskinned the Quake 4 ammo box model to be more faithful to the original Quake 3 ammo boxes, for those of you who would like an update while maintaining the original look. Last edited by AndehX on 06-21-2018 05:57 AM, edited 20 times in total. hey, that is really cool! i just installed them and they look great. i like how you didn't change the design but just improved the resolution. i agree about the plasma color thing. the only problem is i am so used to purple by now that it looks weird as blue. i keep thinking i'm about to pick up BFG ammo. Yeah... just installed them as well... they give my AEblocks map that extra freshness in look. Very nifty. I've done all sorts of stuff, just never released anything. Alot of the stuff I have is converted from Quake 4 as it looks alot better, like the health for instance. I have redone some of the 2D elements, like weapon icons and HUD numbers, so I might release those. 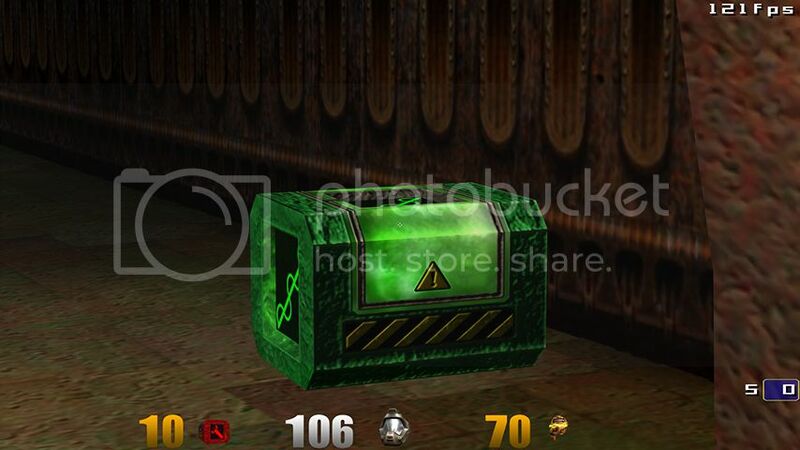 I also did an ammo box skin in the style of the Quake 4 ammo boxes. Alot of it is scattered around my hard drive so i'll have to repack it all before I release any of it. 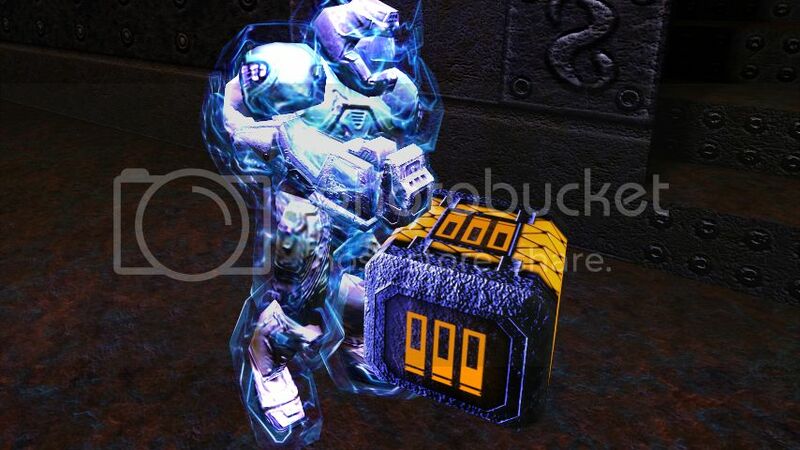 Those are the Quake 4 style ammo boxes I made. Although the skin is 100% made by me, the model itself is from Quake 4, so I probably won't be allowed to post them here. Fun fact: in the q3test days, the plasmagun itself was purple as well and fired purple blasts. They changed it for some reason, but not in time for the instruction booklet to get an update as well, so the PG in the instruction booklet is still purple. Oh I really like the look of those HD skins. Last edited by AndehX on 05-11-2015 08:43 AM, edited 1 time in total. Also did some remastering of the weapons. Last edited by AndehX on 04-13-2015 04:09 AM, edited 1 time in total. Wow, love the remastered railgun! The YA is also very amazing. The edges standing straight without any damage, while the surface seems to be very rough. Maybe invert the nomal map? Did you made by chance a grappling hook skin yet? I'm searching for such a skin and found only the QL one. 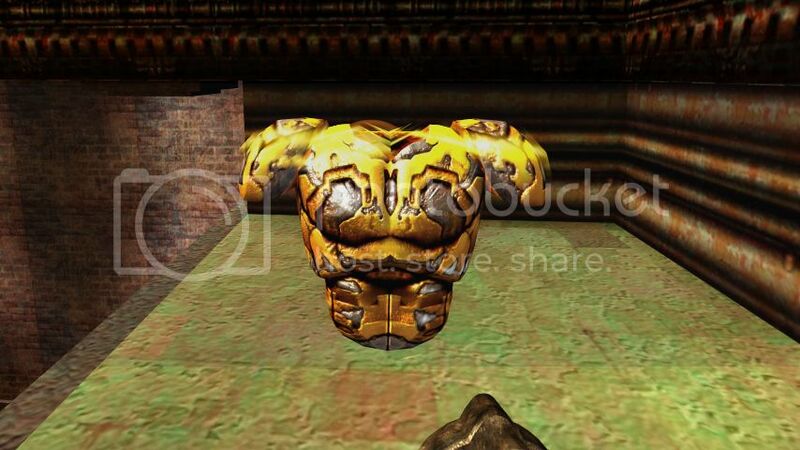 as far as im aware, Quake Live is the only version of Quake 3 that has a proper grappling hook skin. that would be great =) I use Quake 3 Edawn(1.32e) instead of IOQ3, and it has the GA in it so you can play those maps in vanilla Q3 rather than having to use CPMA/OSP for the GA to show up in those maps. Ok, I've updated the original post again. I've decided to release all the ammobox related stuff ive done over the years. Link in original post updated for the Quake 4 ammobox reskin. I think i'm pretty happy with this now, so i'm gonna call it finished. I'll update the others in the coming days. 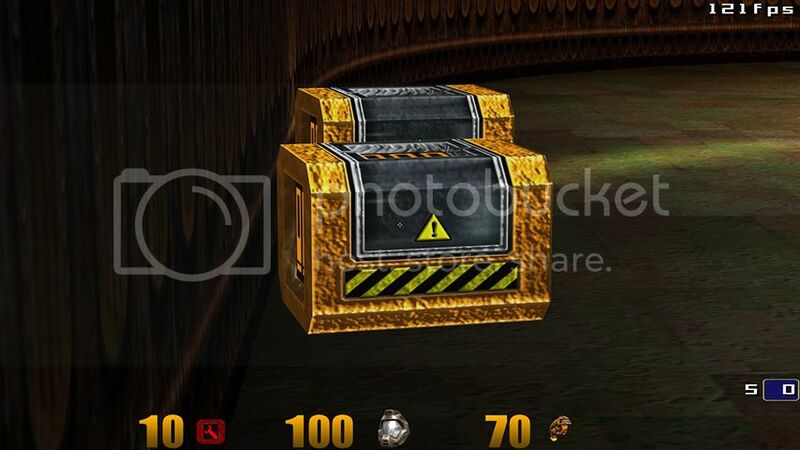 Quake 4 ammo boxes with a touch of Quake 3 :P Download in first post.